I spent 23 years of my life nursing a perpetually dehydrated complexion through harsh East Coast winters. Cream moisturizers never seemed to be enough, so instead, I relied on heavy balms, face oils, and serums. I dipped into my expansive sheet mask collection several nights a week. The aim wasn't even dewiness; I would honestly have settled for anything more than dull and flaky. Was I crazy to assume that when I picked up and moved across the country to sunny Los Angeles that I had left these seasonal woes behind? Southern California produces some gloriously mild winters—that's true. But the air is also bone-dry—even when it's not. Over the past month, we've received far more rain than we did all of last year, and still, that moisture isn't enough for my skin. And it's not for lack of trying. I've diligently layered serums with hard-core hyaluronic acid creams. When that wasn't working, I turned to the heavy-lifting moisturizer that got me through some desert conditions last summer and fall—Skin Inc.'s Pure Deepsea Hydrating Mask ($75)—to no avail. Even if my cheeks and forehead looked a little less thirsty, I was left with a scaly nose. And after cycling through my bag of usual tricks—chemical exfoliation for better absorption, dermarolling, eating more omega fats—I was left exhausted, frustrated, and only marginally more moisturized. So then I began to think beyond my vanity and, well, into my living room. With temps dipping into the 40s and 50s, it's been a relatively chilly winter by L.A. standards. As such, I've turned the heat on in my apartment several nights, which keeps me from shivering in my bed but also turns the place into a miniature Sahara. My complexion isn't the only part of me bearing the brunt of the extreme dryness—something that finally occurred to me after my throat and sinuses had been inexplicably raw for over two weeks. And suddenly, the solution was quite obvious: I needed a humidifier. Using a humidifier for beauty reasons is hardly a revolutionary concept—models and experts alike tell us that the device is as essential to their skincare routines as night cream. The reason it's so effective is that it directly counteracts the very cause of our skin's dehydration. "Whenever the air is dry and moisture is not present, the air draws moisture from wherever it can (through osmosis), and sometimes it will be from your skin," explains celebrity esthetician Renée Rouleau. "Using a humidifier helps counteract the drying air so moisture is less likely to evaporate from your skin." And the benefits of owning a humidifier are more than superficial—Rouleau cites a recent study that showed that a virus is 32% less likely to survive when relative humidity is between 40% and 60%. "A home in the winter can drop to a 15% humidity level, but a humidifier can boost this up significantly," she says. 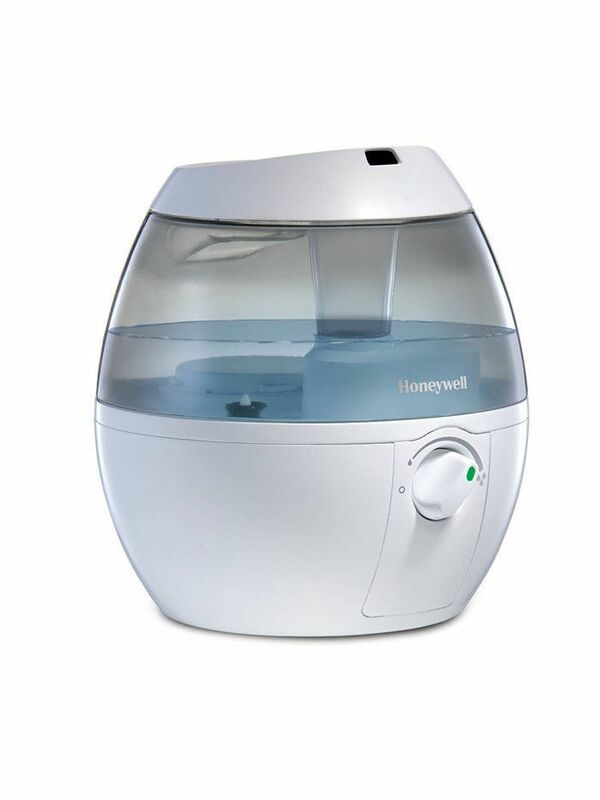 Sure enough, within 24 hours of powering on my brand-new humidifier (the wallet-friendly Honeywell version seen above), my persistent cold-like symptoms had almost completely disappeared, and my skin had a glow I hadn't seen in months. 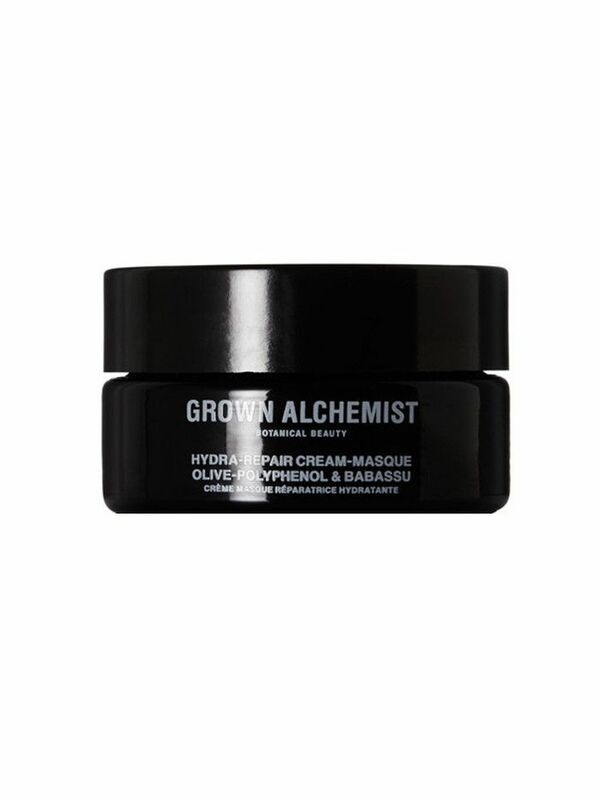 If I'm looking to really dial up the dewiness, I slather on Grown Alchemist's gloriously thick Hydra-Repair Cream-Masque ($69), position the humidifier by the head of my bed, and crank it to its highest setting. My complexion has never felt so hydrated and healthy without professional intervention. Of course, making the most of a humidifier requires a little tweaking in the rest of your skincare routine too. Rouleau advises taking extra care in the winter to immediately moisturize your complexion after cleansing it, preferably with an alcohol-free toner followed by a cream or serum. (Her brand-new Moisture Infusion Toner, $43, is a great option this time of year.) "If you leave your skin bare for more than 60 seconds, moisture will start to evaporate out of the skin, leaving it tight and dry," she explains. "Perform your skincare routine quickly, so the moisture in your skin stays put." 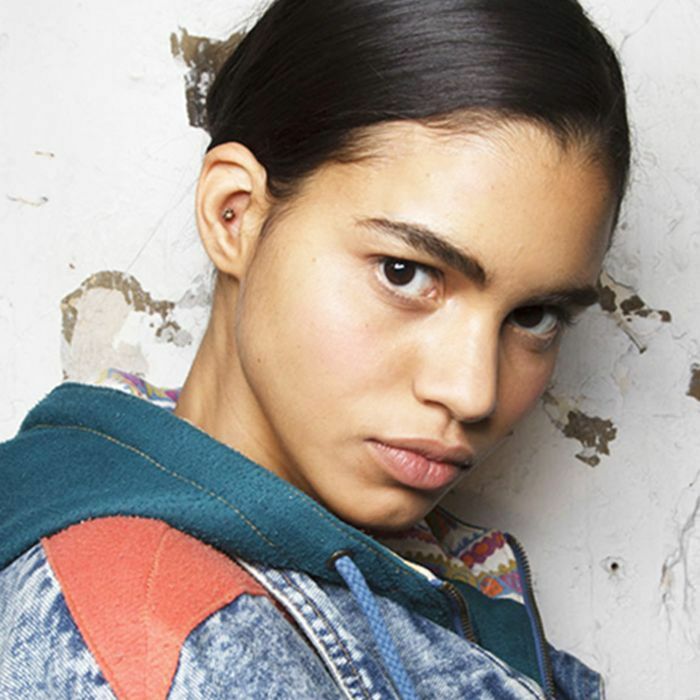 Want more tips on keeping your complexion intact when the temps drop? Check out our winter skincare survival guide next.